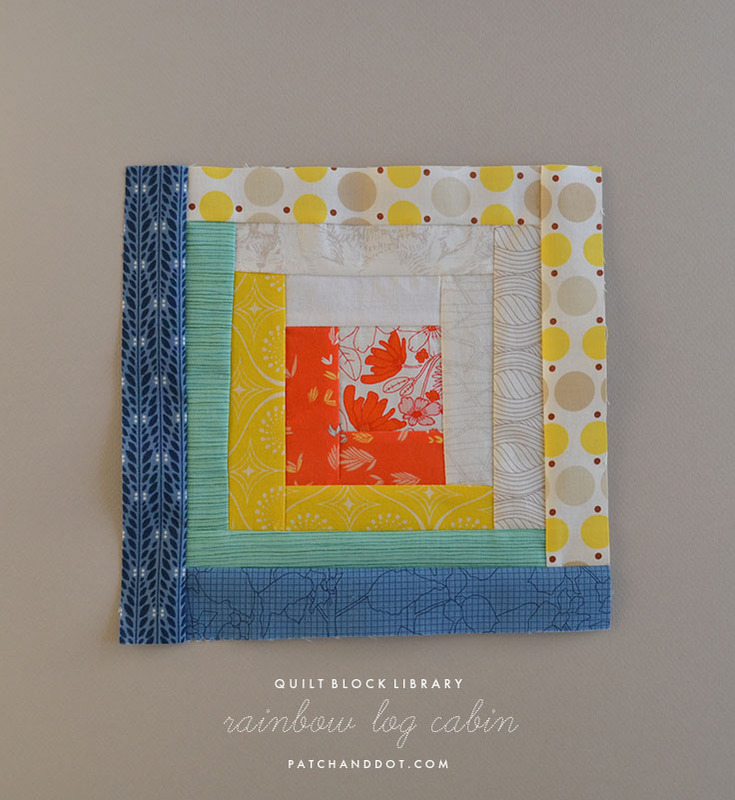 Wondering how to turn a few quilt blocks into a mini quilt/wall hanging? 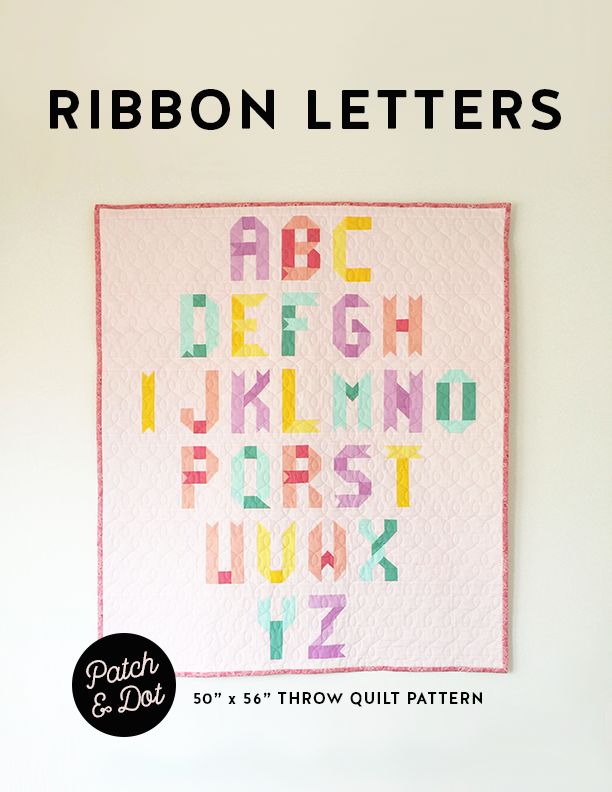 Today I’ll walk you through it using my free Ribbon Letters ABC block pattern as an example. 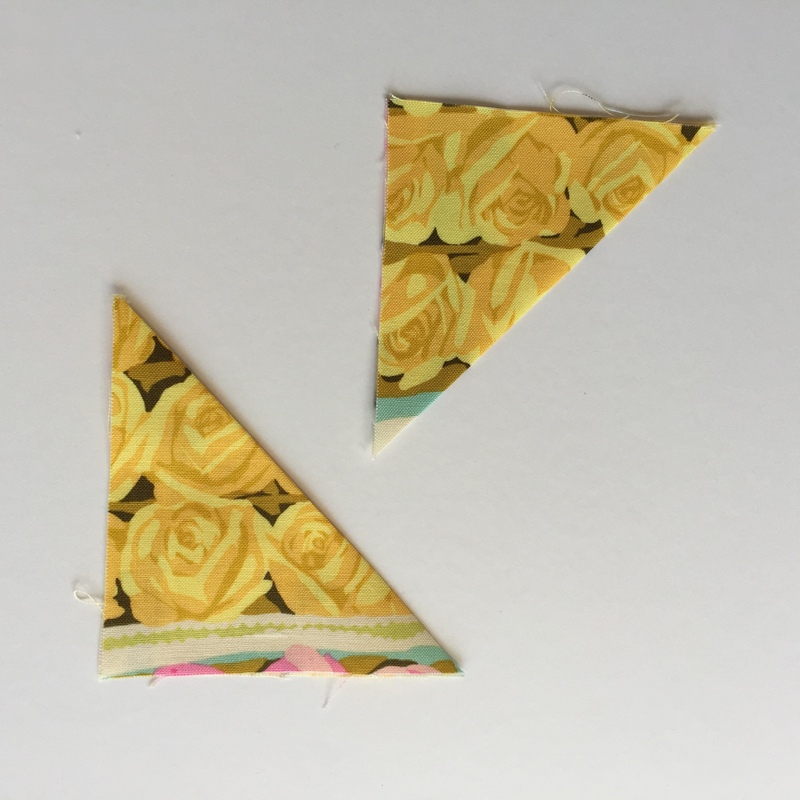 The steps below include instructions that you can use to hang any small quilt … just cut three 3.5″ squares and follow steps 11 to 13 after you quilt but before you put on your binding. You can adjust the batting/backing dimensions up or down depending on how much buffer you like to have. Strips 2.25 inches wide, totaling 112.5 inches in length. 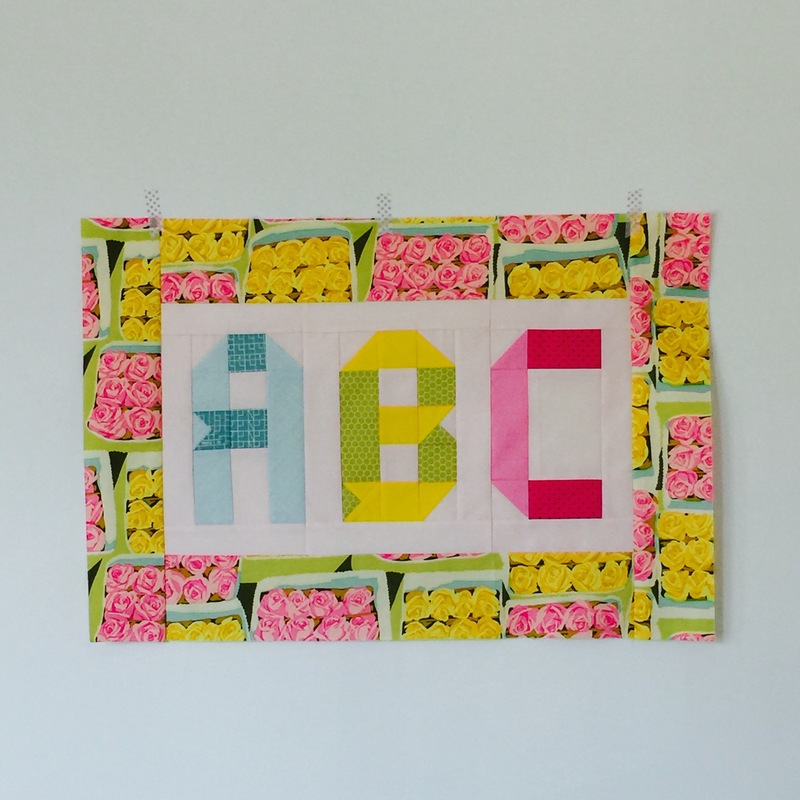 Pin and sew A to B using a 2″x 8″ background piece. 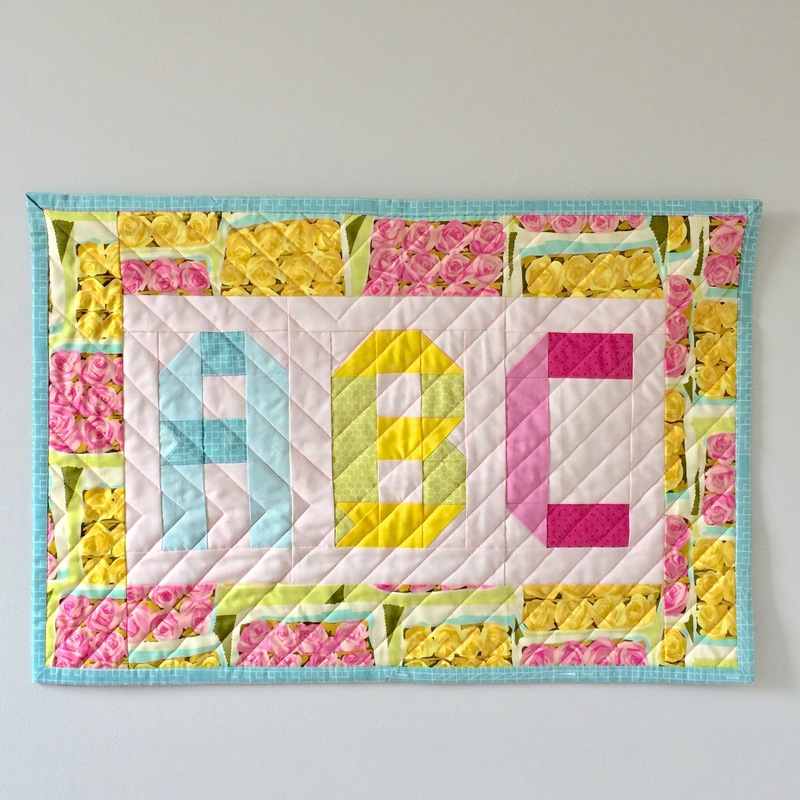 Pin and sew B to C using a 2″x 8″ background piece. Pin and sew a 2″x 8″ background piece to the left side of A, and another to the right side of C.
Pin and sew a 2″ x 20″ piece to the top and bottom. Press. There may be a little overhang, so trim at this point if necessary. 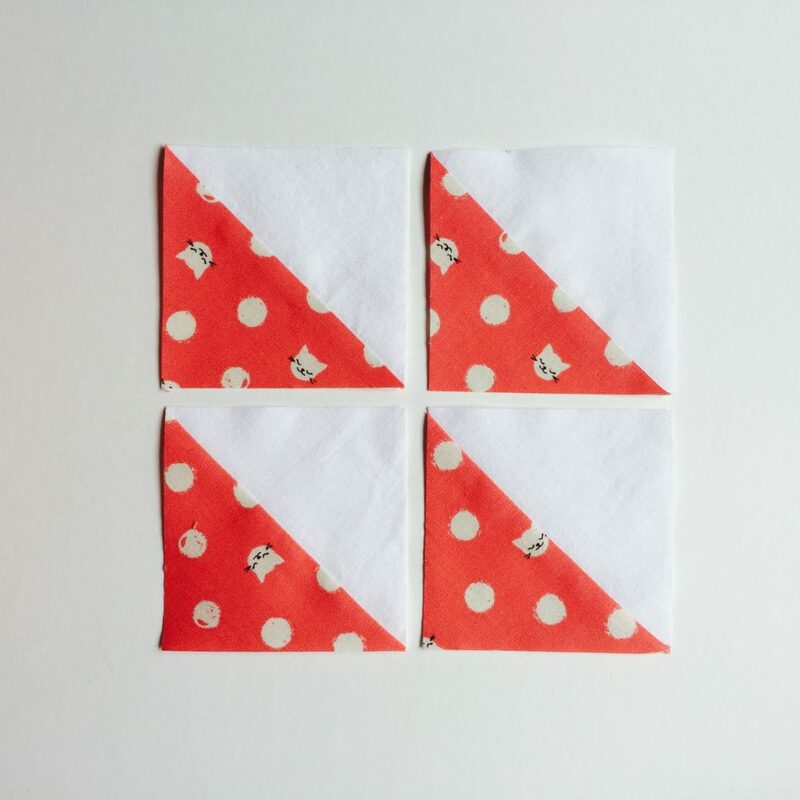 Pin and sew the two 3.75″ x 20″ border pieces to the top and bottom. Press and trim. 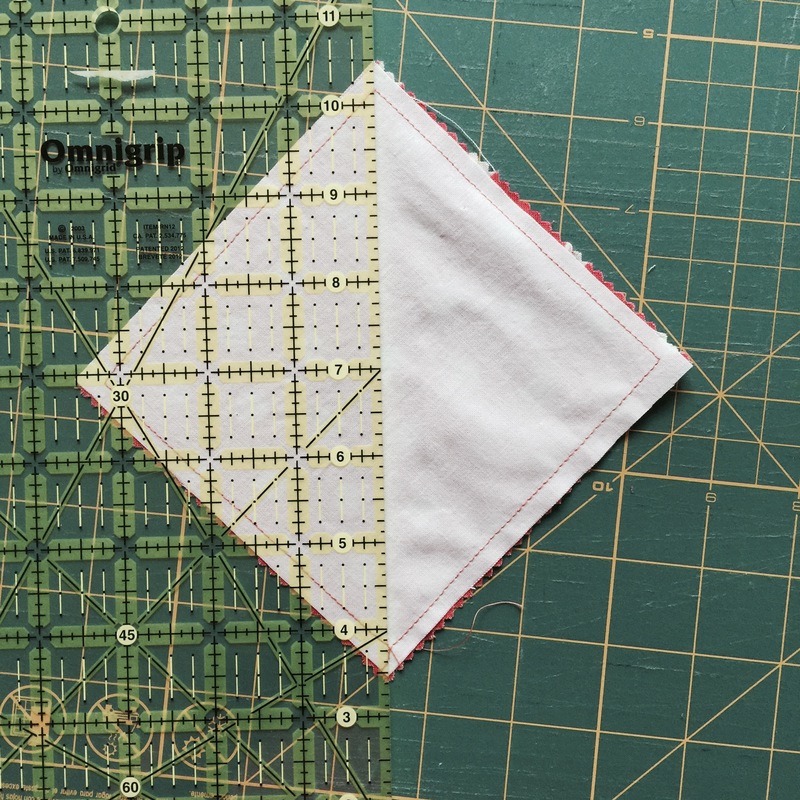 Pin and sew the two 3.5″ x 17.5″ border pieces to the left and right sides. Press and trim. Make your quilt sandwich, being sure that your batting is a little larger than your front, and that your back is a little larger again than your batting. 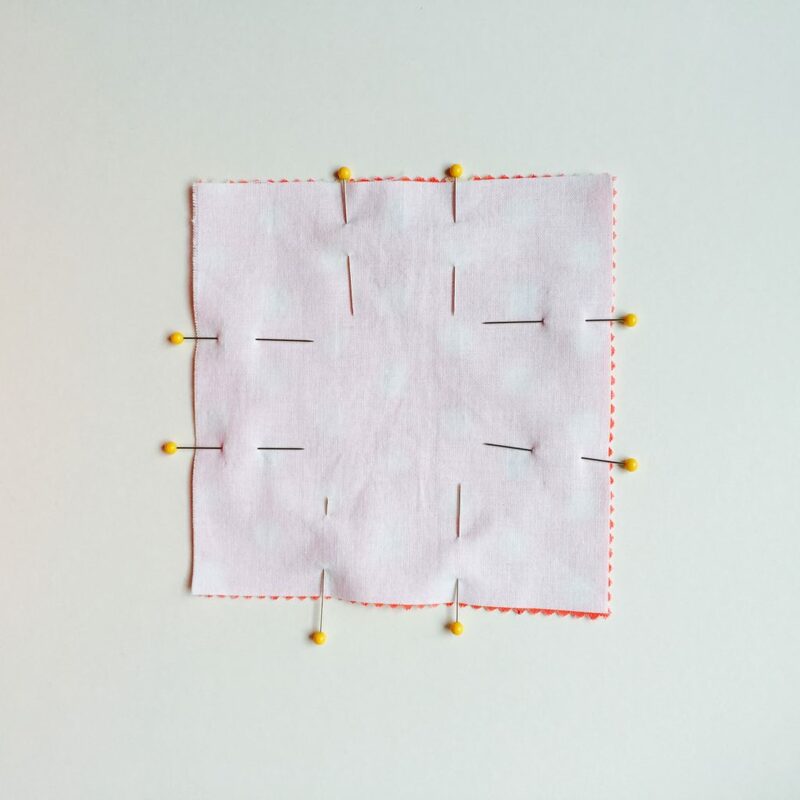 Pin and quilt using your preferred method. 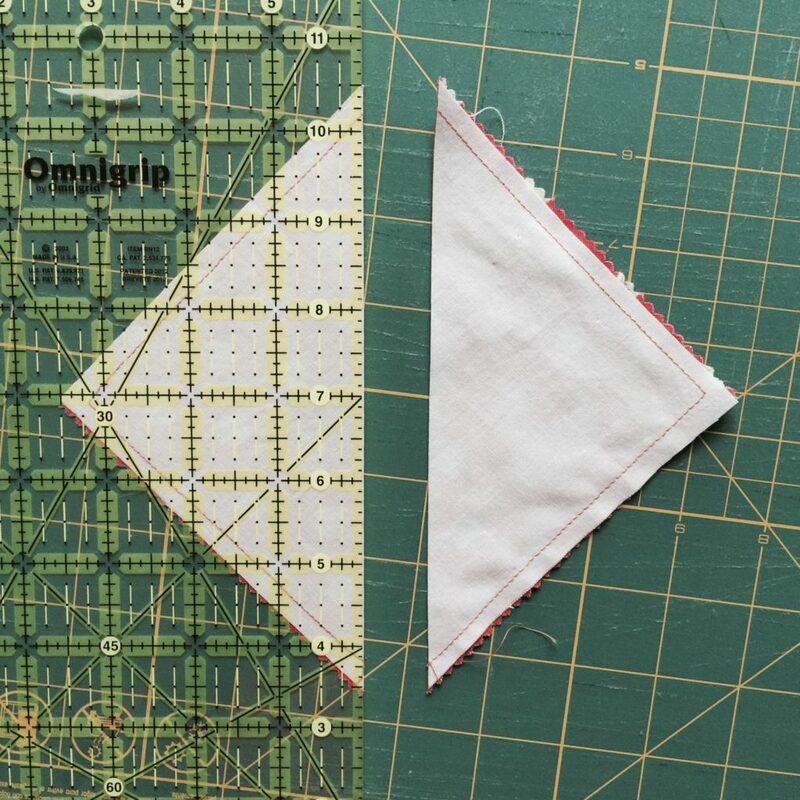 I quilted this sample using an assymmetric pattern of diagonal lines. Take two of your 3.5″ squares and press diagonally. 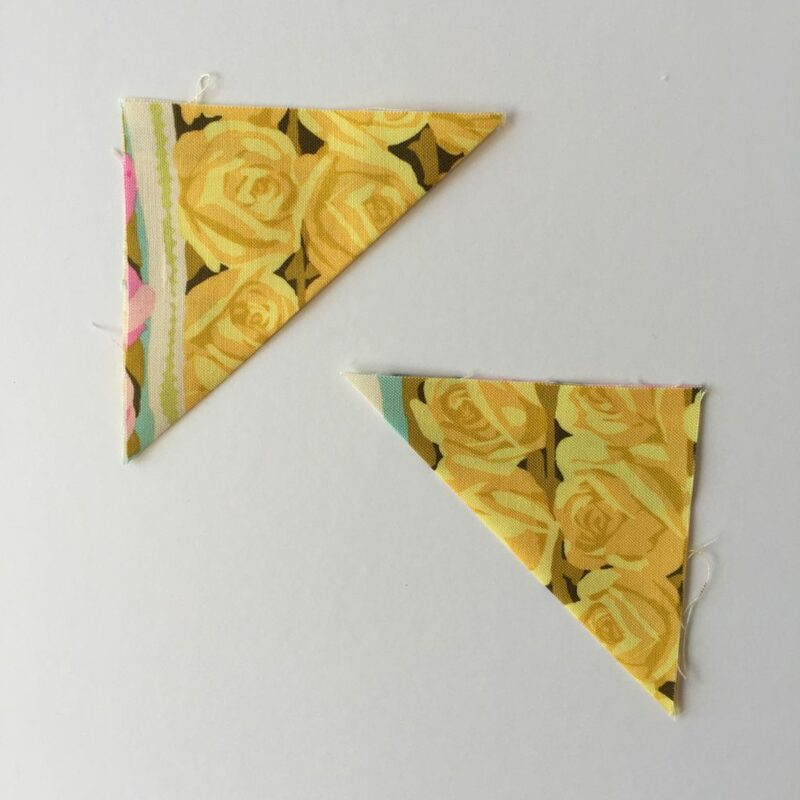 Pin each triangle to the top right and left corners of your quilt back, then sew the rough edges closed, 1/4″ from the sides. Leave the folded side open. This is the little pocket that will hold your doweling. 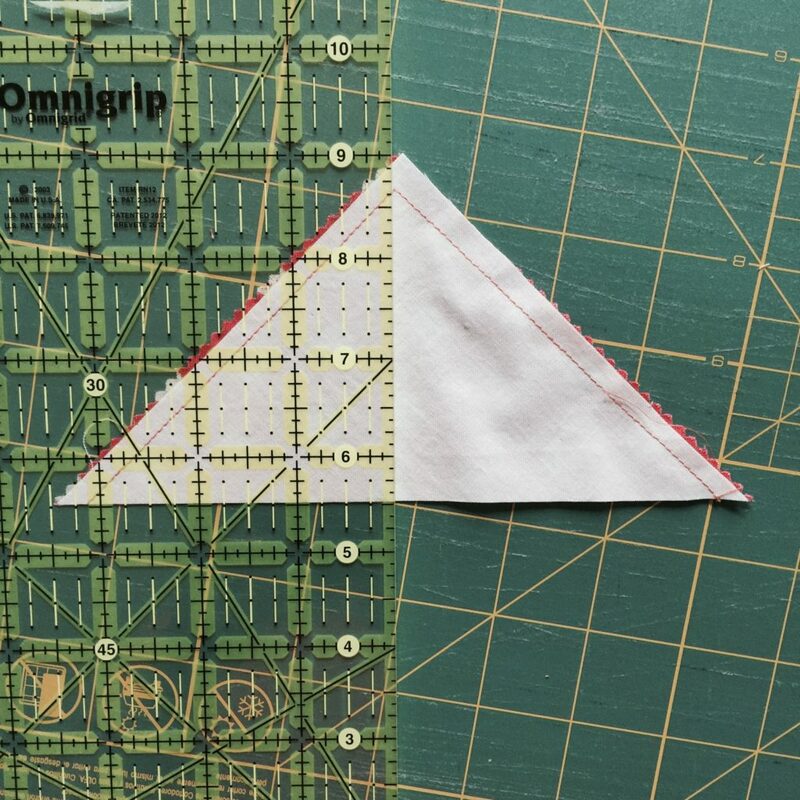 Take the third 3.5″ square and press the left and right sides 1/4″ to the wrong side. 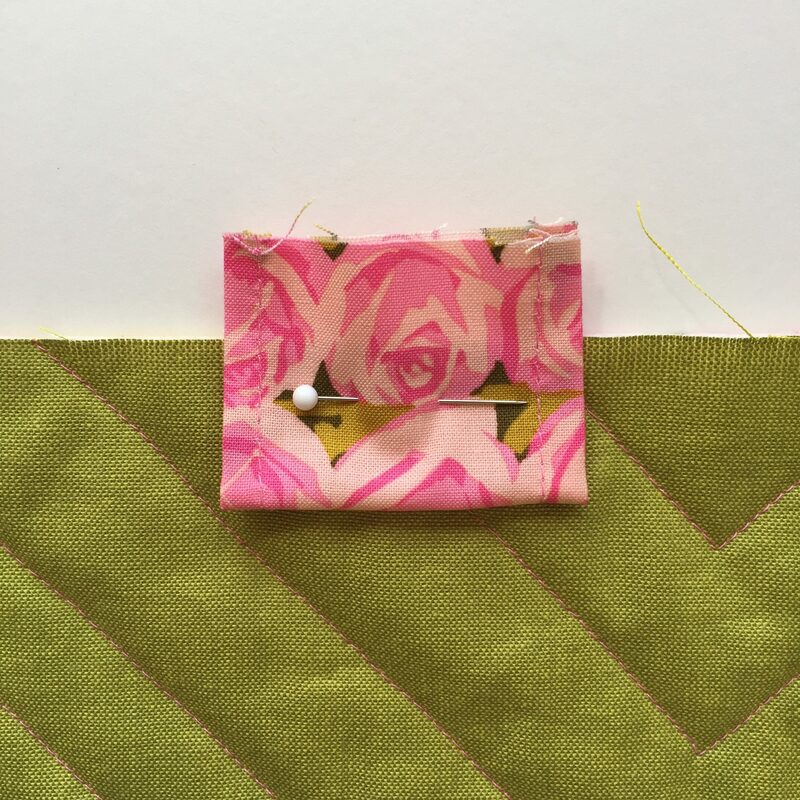 Press over another 1/4″ again, then sew closed, as in the following picture. 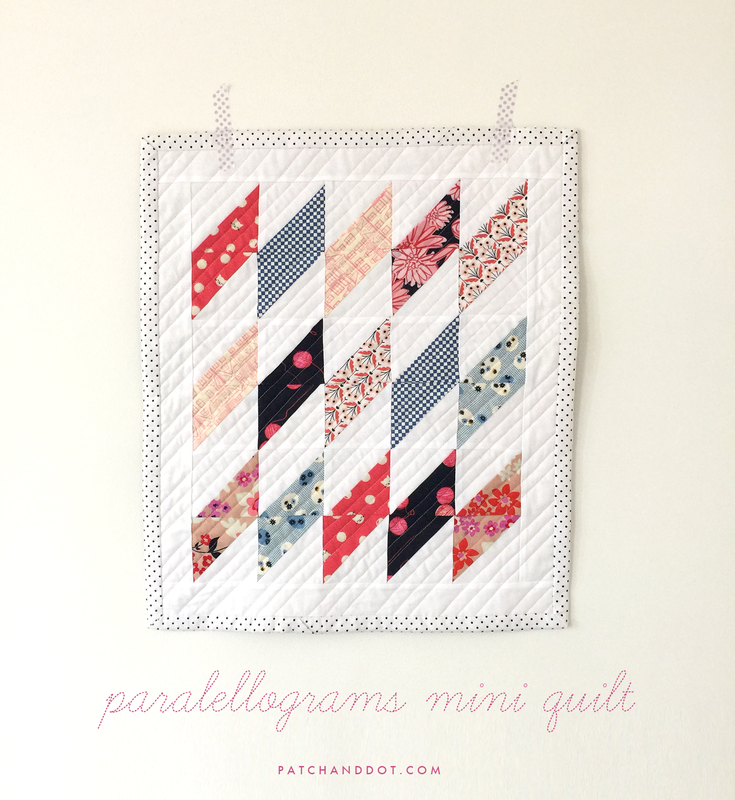 Pin this piece to the top middle of the back of your quilt. Adjust its position so that it is just large enough to enclose the piece of dowling, ruler/yardstick, or other material you are using to hang the quilt. Try it in place, wrapped around your doweling, to be sure, and place your pin accordingly. 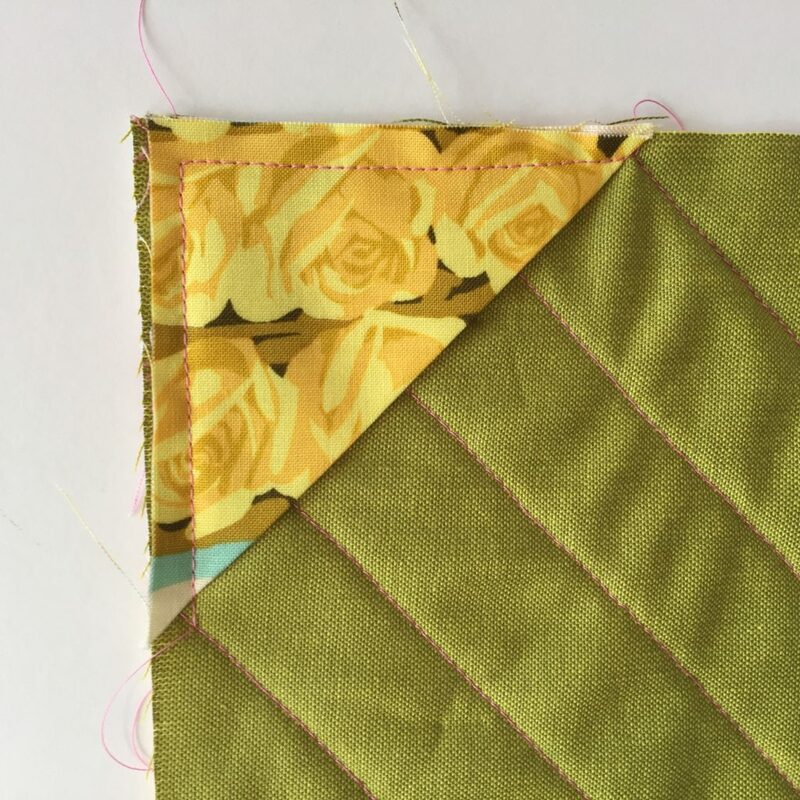 Sew the piece to the quilt, 1/4″ away from the edge. 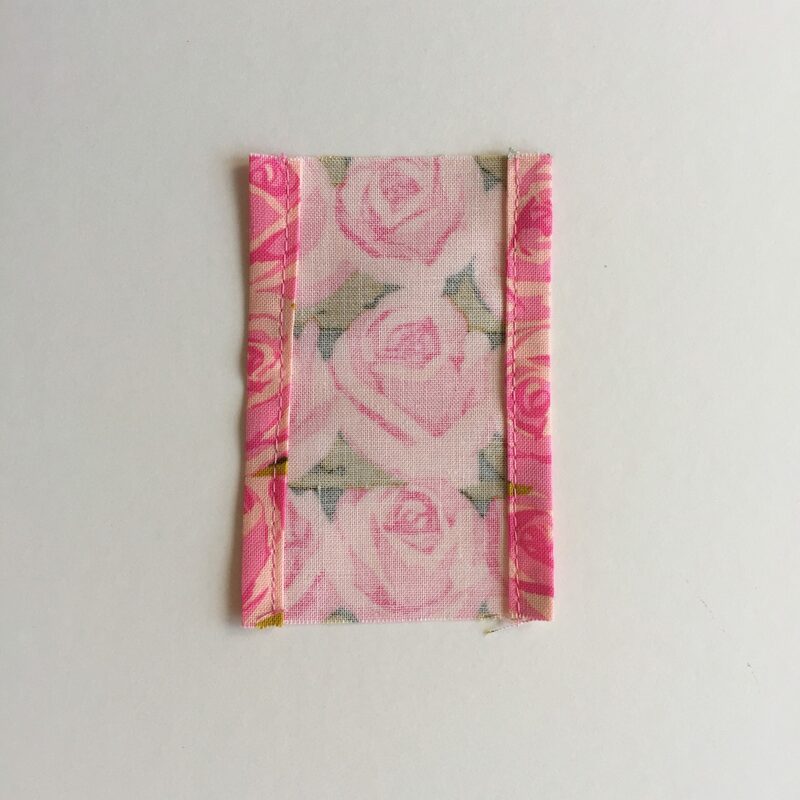 Trim away any excess. 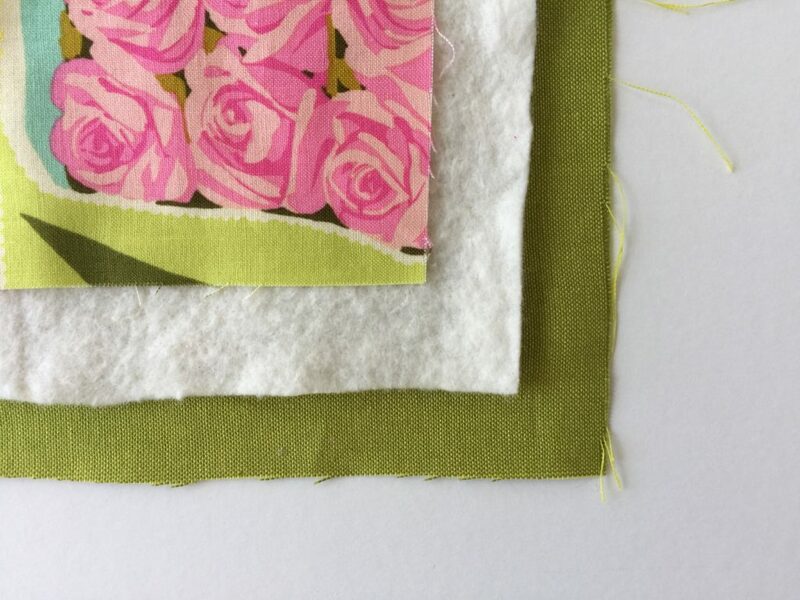 All the rough lines will be covered up by your binding! Bind using your preferred method. 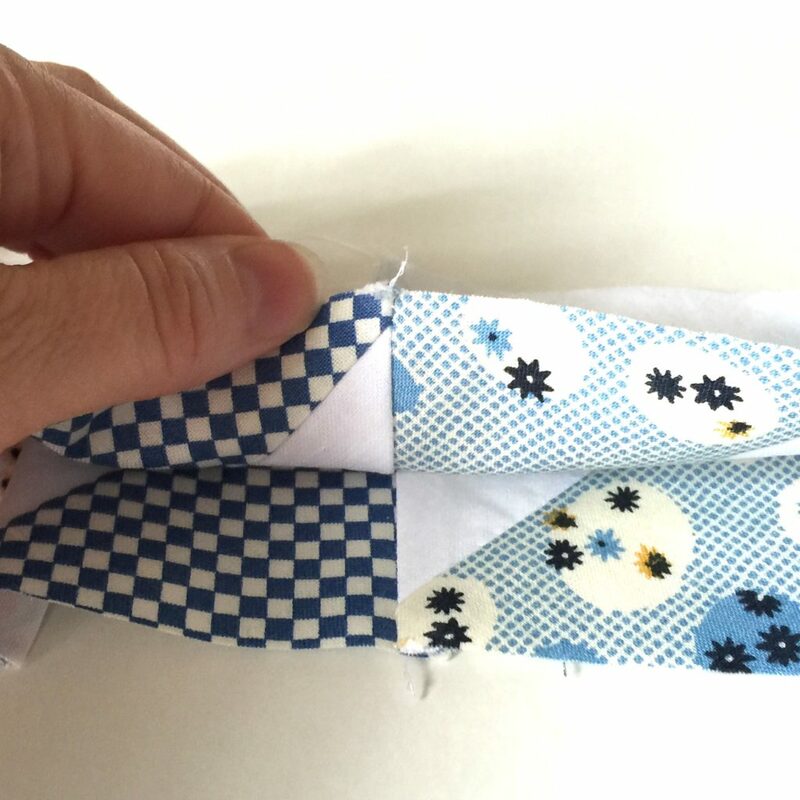 One of my favourite continuous binding tutorials by Heather Bailey is here. 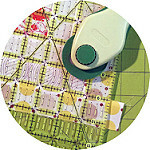 I cut binding strips 2.25 inches wide, totaling 112.5 inches in length. At this point your options for hanging depend on how and where you want to put this on your wall. 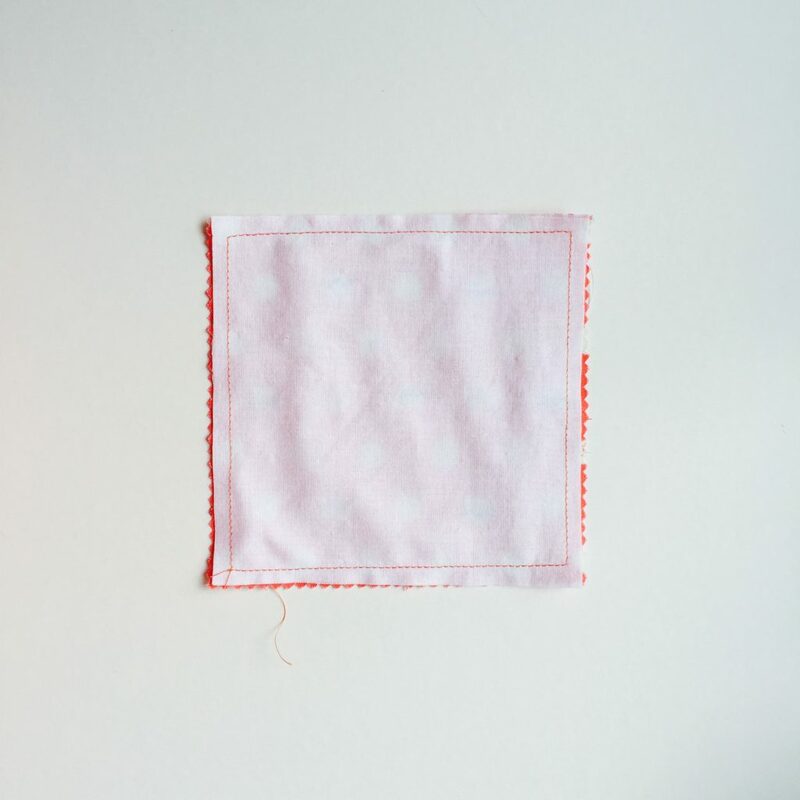 You might loop a ribbon or wire around the doweling and hang it so that the ribbon is above the quilt, or you might attach a small metal hook or hoop to the center loop on the back so that you can hang the quilt directly on a nail or painting hook. Either way the doweling will keep your mini straight and at full width. 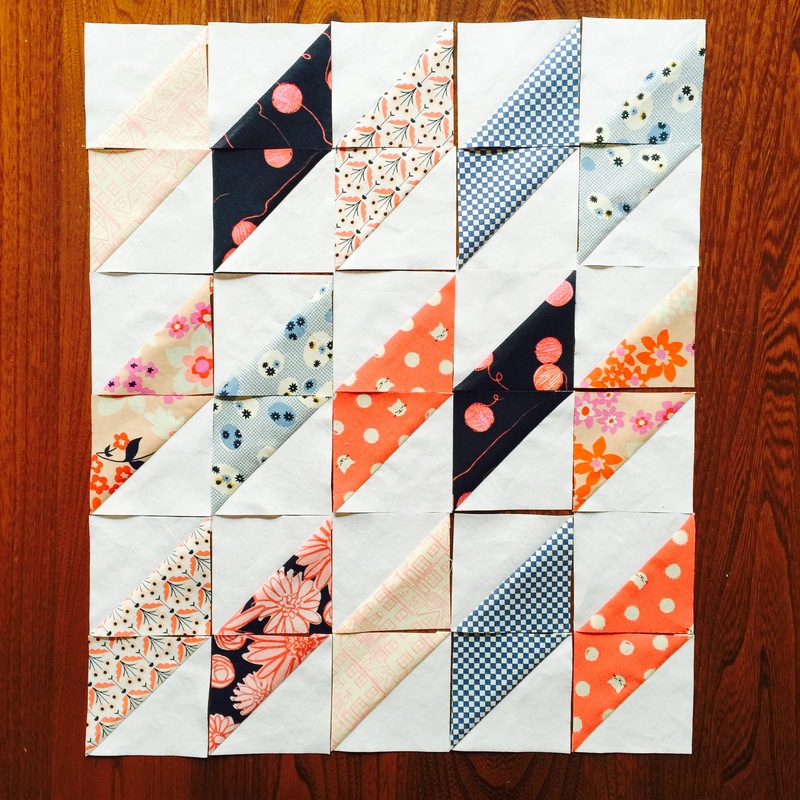 Linking up with Sew Fresh Quilts Let’s Bee Social and Crazy Mom Quilts Finish it Up Friday. This week I tried my hand at a log cabin block, and I took notes! 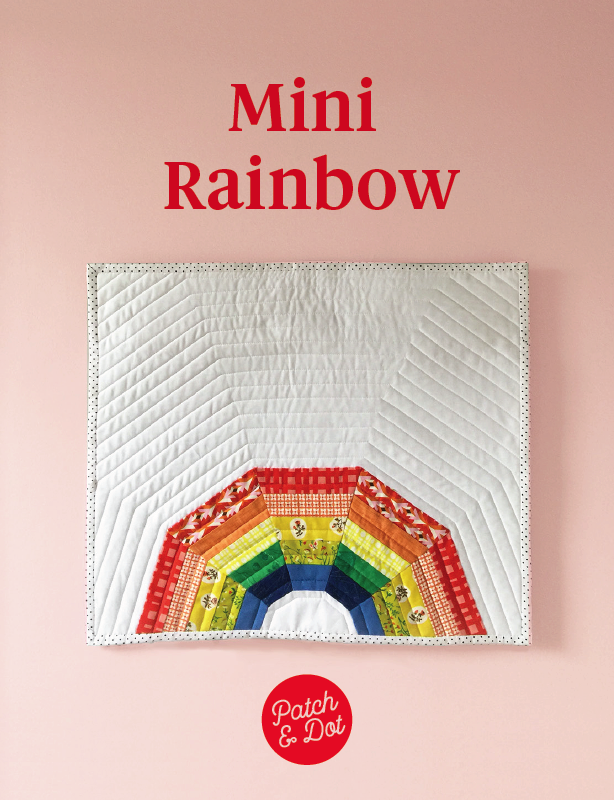 The following steps will get you one rainbow log cabin block with a finished size of 9.5 inches (so that’s 9 inches after it’s joined up with other blocks). 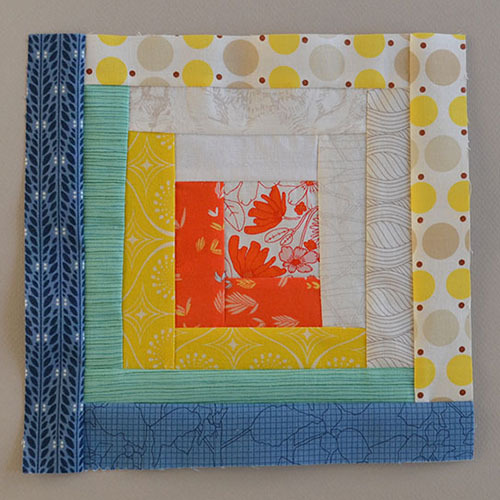 For a bigger block, simply add more strips. If you don’t want to wing it on the strip lengths, see the steps below for specific measurements. Consider the lengths listed to be a minimum recommendation. 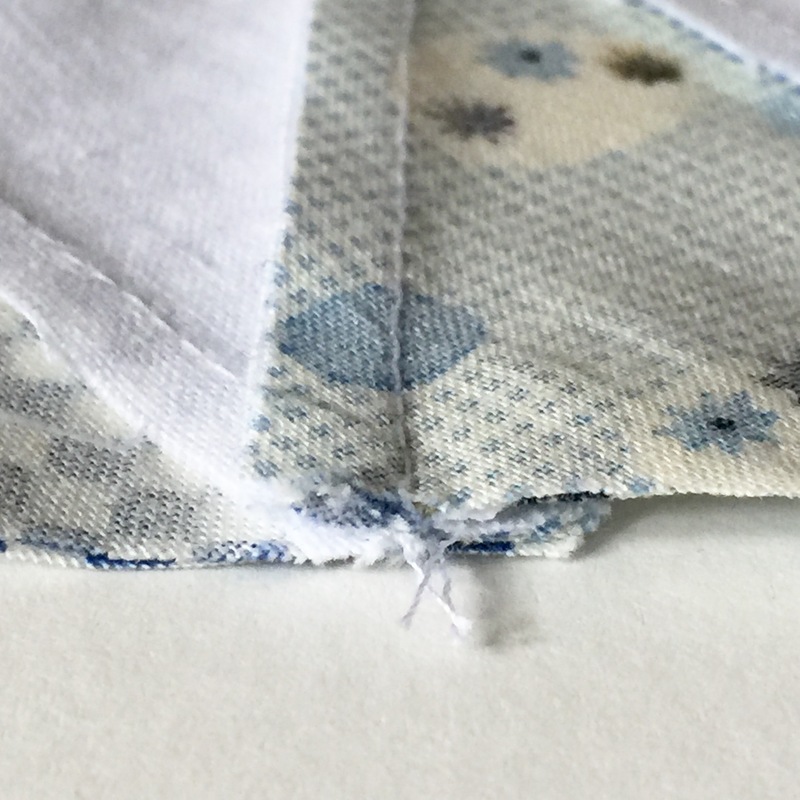 I like every strip to be at least a half an inch longer than the side it’s being sewn to; sew one strip, trim it up (as pictured at right), then continue. 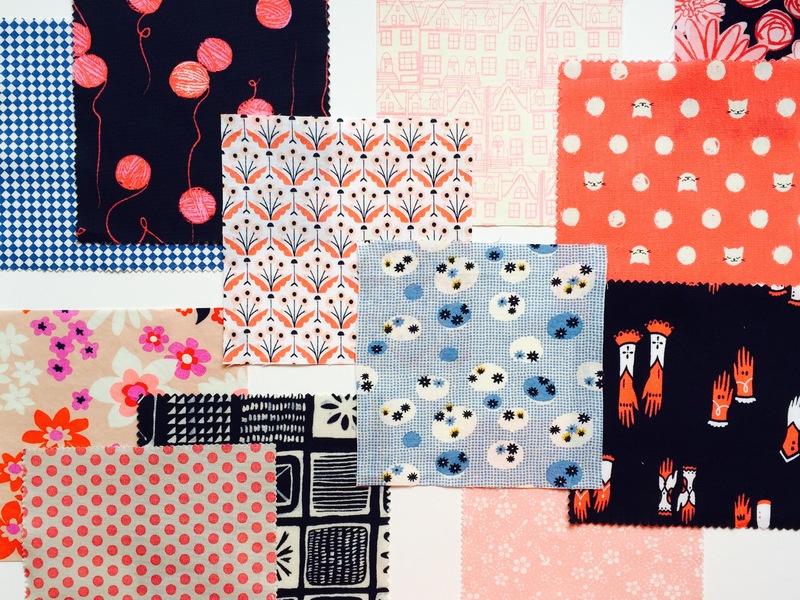 Cut the following pieces and sew them together in the order illustrated in the photo below. So, so piece B to the top of piece A, piece C to the right of pieces A and B, and so on, trimming up after each step. 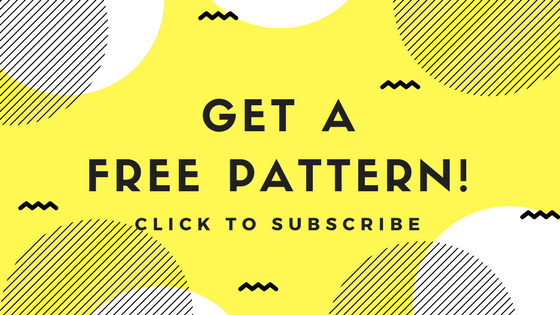 The instructions above are for a single block, and you can use them to make as few or as many as you like. 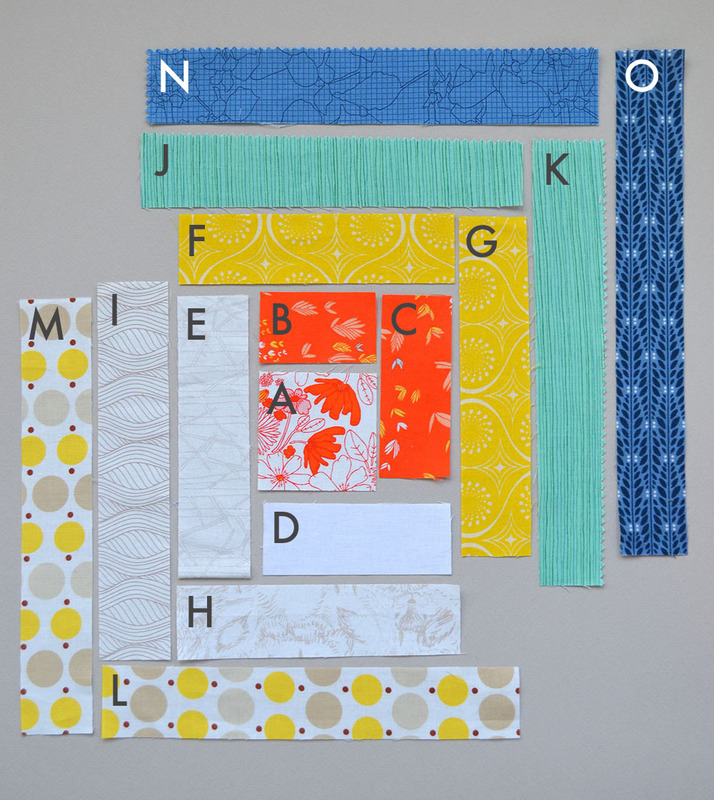 For a great way to make a bunch, assemble-line style, check out this method from Stitches in Play.